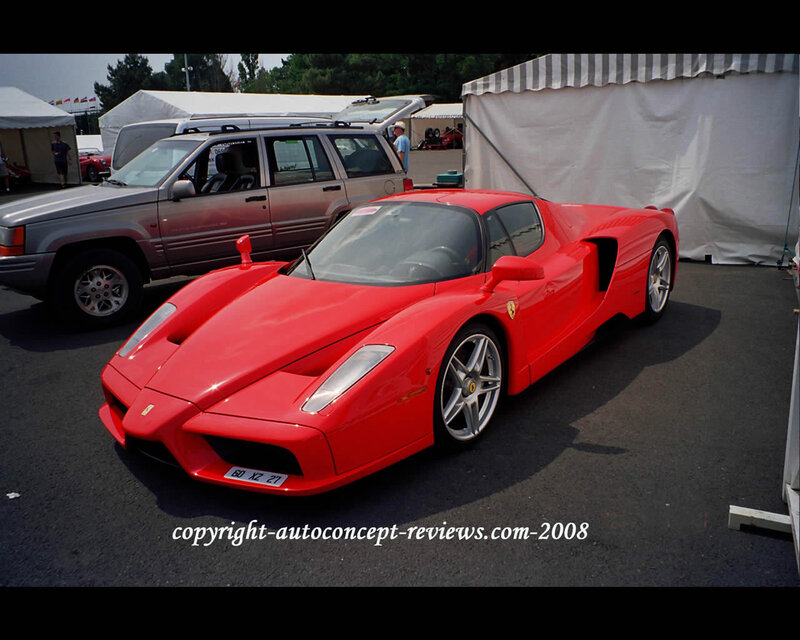 The Ferrari Enzo was first introduced at Paris Motor Show in 2002, both on Ferrari and Pininfarina booths. The production of this supercar was started in 2003 originally for 349 units only but later extended to 399 units. The Ferrari Enzo translates in a exclusive road car the latest technologies developed by Ferrari in competition. A carbon fiber composite monocoque structure is the base for the lowest weight without sacrifying the rigidity.Propulsion is a V 12 of 3.998 cc. producing 660 hp at 7.800 rpm and placed at the centre behind the cabin. Access to the seats of this 2 passengers coupe is by forward swinging doors. The body shape was developed by Pininfarina with extended wind tunnel testing. Dimensions: length 470 cm, width 204 cm, height 115 cm, weight 1365 kg.